The creation of large new tracts of forest, together with the development of a modern wood processing sector, was the single biggest transformation to occur in the Scottish countryside during the twentieth century. While the environmental and landscape impacts of this change have been much commented upon, its impact on Scottish culture and society has attracted comparatively little attention. 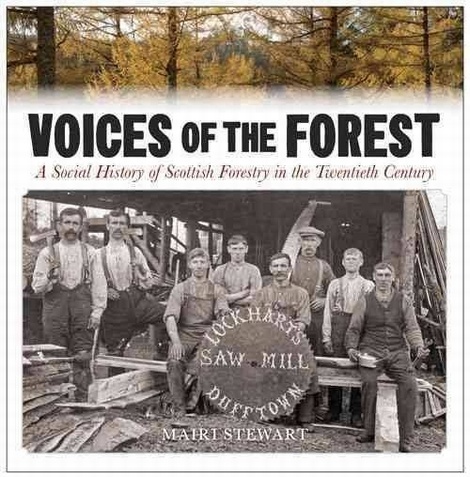 This book tells the fascinating story of the human side of forestry, drawing heavily on the thoughts, experiences and reflections of a wide range of individuals from all levels and all sectors of the industry as it has developed in Scotland over the last 100 years. The book also analyses the evolution of forestry policy and the changing roles of both the state-run Forestry Commission and the private sector. However, at its core are the stories of the men, women and children who have lived and worked in the many communities where old and new forests have loomed large communities where, especially in the middle decades of the twentieth century, forestry was often the largest source of employment and income, and without which many of these places would have struggled to survive.